When it comes to digital marketing, email is still king. Email campaigns that get opens and clicks. We have been doing email campaigns for many years now and have learned a lot about what works and what doesn't. We know how to quickly build lists in ways that are legal. We know how to keep your emails out of the spam folder and get them into the inbox. We know how to write compelling subject lines to ensure your email gets opened, and set up A/B Testing to decide which subject line works best. We know how to write great content that get clicks to your website. It's a fact. Email marketing is still the most cost-effective and compelling way to engage with your prospects, but your campaign must be done right or your emails could end up as spam. We can help you build a list (if you don't have one) or run and manage your email campaigns for you. A couple of emails sent per week will boost your sales and won't cost the earth. In fact, it's one of the best investments you can make for your business. Call and ask how a Hyperdriven email campaign can boost your business. This is how you will send your emails. 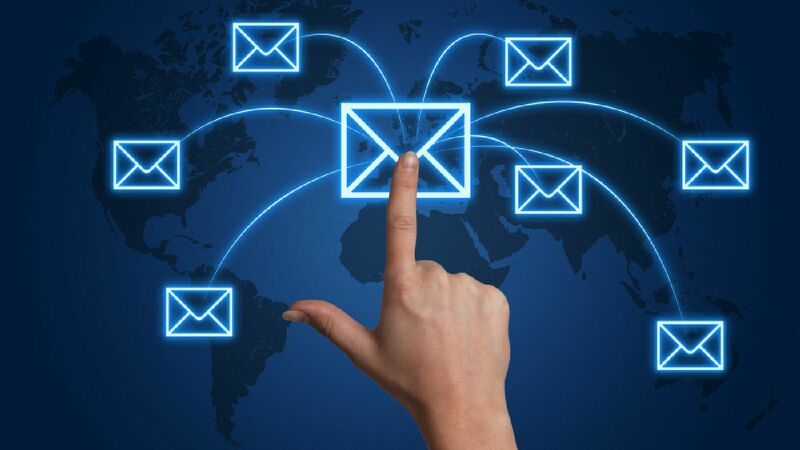 We will assist you in choosing the right email campaigns engine depending on your needs. Each has different features and levels of expertise required to use them, and whether you need email automation or not. You need a list of opted-in prospects to send to. There are many ways to do this. Some are legal and some are not. We have a lot of experience in quickly building good quality lists. We will help you avoid the pitfalls and show you how to rapidly build your list organically. We even have tools at our disposal to help you build your list from social media networks like Facebook. Depending on which email engine you use, it may come with a means to design emails. If not, there are ways to do this. Designing your emails is actually more involved than designing a website, because different email programs display differently. We design emails that work in ALL email programs - Gmail, Hotmail, Outlook and mobile devices. We know how to create and test your emails so they get past the spam filters and into your prospects' inboxes. We can perform A/B testing to make sure the right subject line is working, and we can show you how to effectively measure the performance of your emails and avoid being penalised for too many bounced emails and complaints. Why Email Marketing is still King. Email marketing is still proven to generate more traffic than Facebook or Twitter. With each email campaign, you're literally putting your message into your prospects mailbox. But you need to build that list first! Once you have a list, you can segment it into the different groups you wish to target with each campaign. According to recent studies, nearly 5% of visitors attracted by an email campaign will buy something, compared to 2.5% from a search engine, and then only 0.5% from social media. Only email campaigns allow you to laser-focus your message to your potential buyers. Google forever changes its algorithms that can negatively affect your rankings. Social campaigns can be restricted by rules (and your budget) in terms of how and who you reach. With email, you're not affected by these restrictions. Your audience is always there - you only need to send the right message with an enticing subject line that gets your email opened. Depending on your business and your audience, sending one email per fortnight might be sufficient. Some email marketers say you should be sending 2 or 3 emails per week. We can help you decide. A/B testing is where the same email is sent to a small part of your list, but with different subject lines. The system waits about an hour, and then checks to see which email subject header got the most opens. The email engine will then semd the rest of the emails with the better-performing subject line. How much work is needed to send an Email Campaign? A lot! You need to come up with an idea, write great copy, add some great images, and package it in a way that it gets past the spam filters. If you don't know what you're doing, all your effort will end up in the spam filter. I don't have the time for this. What can I do? Outsource your email marketing to us! For an affordable rate, we'll manage everything for you! See our prices below. Don't worry, we can help you choose the right one for your business and set it all up for a small, one-off fee. It depends on what it is you're selling and how big your initial mailing list is, but typically it can take 2-3 months of consistent emailing before your recipients consider you worth investigating. PLUS licensed images and graphics to make your email look superb. We will help you choose a suitable email engine. Most offer free subscriptions for lists of up to 2000 emails. We will set up an email campaign engine with a sign-up form placed on your website. If you have a mailing list. we'll get it checked first for dead addresses. Design of a standard email template. Don't have time to do it yourself? Let us do everything for you. We will create a custom email for your business that will work on ANY email program (including mobile). A more cost-effective way to manage your email campaigns for when you don't have the time or experience to do it all yourself. A/B testing sees which subject works best. Sit back and let us do it all. We'll draft the copy, create the images. design the email, upload it to the engine and send it out. You'll get a full report of your emails' performance. This is the percentage of emails that get opened. If you send 1000 emails and 200 get opened, that's a 20% open rate. If your open rate is low, it could be because your subject line isn't catchy enough, or your email is considered 'spammy'. 20% is an above-average open rate. For some industries, 10% is high. This is the percentage of your emails sent where someone clicked on a link inside the email. So, if you sent 1000 emails, 200 got opened and 25 people clicked through, that;s a 2.5% click-through rate. A 2.5% open rate by the way is average (above average for some industries). A conversion is a completed, desired action, like a purchase, a download or request for information. In order to correctly measure conversions. you need to create some means to track the traffic your emails generate. That could be some code created by your email engine, or integrating with something like Google Analytics. People change jobs and their email addresses can disappear. In fact, if your business targets other businesses, you can count on losing around one third of your email list each year. If you do not email to your list regularly, you run the risk of higher bounce rates, and that's not good. Many email campaign engines will shut you down if your bounce rate exceeds 5%! It's a sad fact of life that not everyone will want to pick up what you're putting down, and will unsubscribe from your list. Is that a bad thing? Not really. If someone is not interested in your business and unsubscribes, they simply create a space on your mailing list for someone that might be interested. Rejoice in the unsubscribe!